The newest Marvel superhero is a woman…whose character happens to be a former military fighter pilot. So where does Hollywood go when they need expert advice regarding how to best enact these roles? 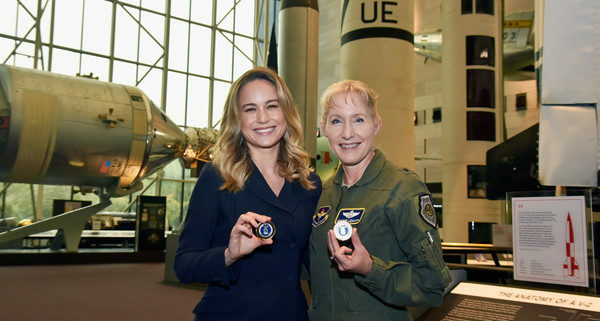 They seek out one of the Air Force’s first female fighter pilots…and modern-day superheroes, Brigadier General Jeannie Leavitt, of course. Join General Leavitt as she shares behind the scenes insights from her role in advising Hollywood on the portrayal of a female military superhero and the potential implications her involvement has in shaping the public’s view of military women for generations to come. This webinar will be a broadcast of a live keynote address which will take place during AcademyWomen’s upcoming Officer Women Leadership Symposium (OWLS). OWLS attendees are primarily current, former and aspiring military officer and senior enlisted women, however the keynote addresses will be highly informative and applicable to all who are interested. This is a FREE webinar opportunity open to all active duty, guard, reserve, retired, veterans or military spouses who are interested in attending.